A scenic 18-hole par 72 course in the heart of Sea to Sky Country. 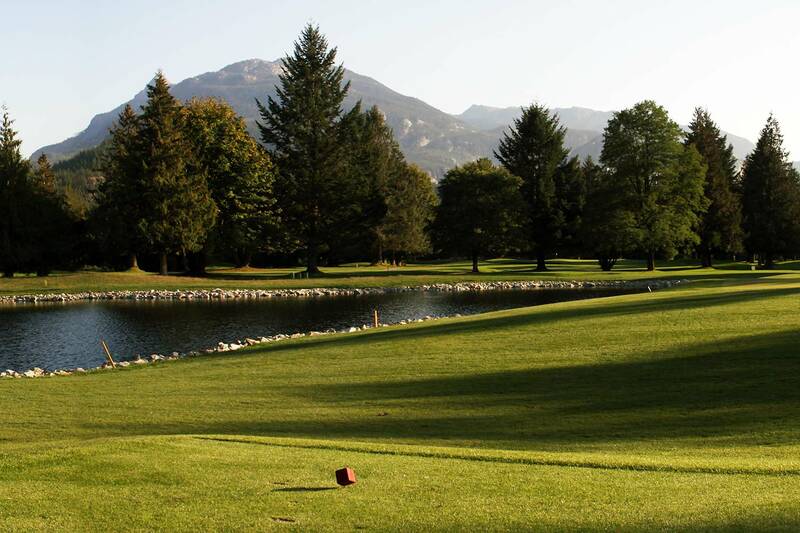 Known for its scenic landscape and panoramic mountain views, the Squamish Valley Golf Course is a walkable 18-hole par 72 course complete with five lakes, old-growth stumps, a double green along with a full-sized practice facility. Named by Golf Digest as "The Best Value in the Whistler Corridor" and by Score Magazine as "The Best Value in BC", the course has played host to the Canadian Open Qualifier in 2015 and is home to one of the largest and longest-running BC Men’s Tournaments, the Squamish Men’s Amateur. The Clubhouse at Squamish Valley Golf Course offers a beautiful setting for tournaments, weddings and special events and a menu that includes all of your post-game favourites.